What are Causes of Neck Pain? Causes of neck pain and dysfunctions vary widely. Common conditions causing neck pain include: Text Neck (sustained, repetitive postures), stress, neuromuscular trigger points, lifestyle factors, nutrition, and lacking proper motion in transitional areas (upper and lower neck). Each of these conditions present with adaptive changes to the tissue, creating altered stabilization strategies leading to pain over time. What are Symptoms of Neck Pain? Symptoms of neck pain differ depending on the irritated tissue. Different tissues have different nerve fibers which deliver pain signals to the brain; due to the different pain fibers, symptoms vary. Symptoms may include: sharp, pinpoint pain, headaches, chronic fatigue, muscle spasms, headaches, limited range of motion or mobility, arm weakness, or numbness and tingling down into the arm and hand. 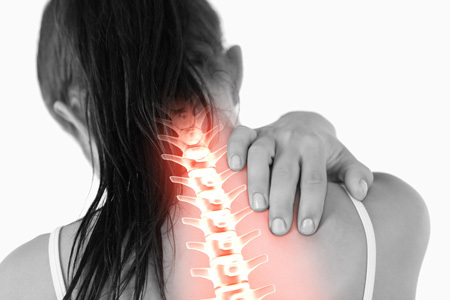 At ICT Muscle & Joint Clinic, we focus on treating the symptoms and root cause of your pain. The body is a dynamic, mobile structure and must be assessed and treated as such to create successful long-term outcomes. We employ the best scientific, evidence-based, treatment procedures using a combination of chiropractic manipulation, soft tissue therapy, and rehabilitative exercises. Surrounding all joints, there must be a balance between tension and compression of the ligaments, muscles, tendons, and fascia; when pain is present, it is due to an imbalance of these structures. This requires mobilization and release of tight structures in addition to strengthening weak or inhibited structures of the painful joint(s) as well as the joint(s) above and the joint(s) below. Neck pain and dysfunction is often the consequence of improper, neuromuscular dynamics of the upper and lower neck junctions. Our doctors focus on a comprehensive approach, geared toward lasting results.